TED is a non-profit devoted to “ideas worth spreading” and you can find literally thousands of free–inspiring and awesome–talks from experts and innovators around the world. 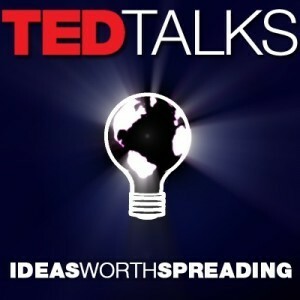 We’ve decided to highlight 24 TED talks specifically around food issues that we found compelling and worth sharing. Please check out and watch as many of these as you can. And, most importantly, forward this email to 24 friends, family, neighbors, and co-workers who might be open to watching a few of these insightful talks–and learning more about the food system. Also, we’ve posted this list on the Food Tank website and invite you to share it with friends via the web and social media channels such as Facebook, Twitter, LinkedIN, or Pinterest. Stuart laments how supermarkets, cafeterias, bakers, farmers, and other food producers are “literally hemorrhaging” food waste–the majority of which is fit for human consumption, but has been discarded because it is not aesthetically pleasing. He offers a radical solution: “freeganism,” a movement in which food that would normally be thrown away is eaten instead. Kaufman, from the City University of New York’s Graduate School of Journalism, heralds the rise of a “Great Greenwash.” He further questions whether Wal-Mart and other corporations participating in the Sustainability Index are living up to their claims. Cooper, the “renegade lunch lady,” wants us to get angry about what kids eat at school. She wants kids to eat healthy, sustainable food; but first, we all need to care why this should happen. In this talk, she tries to rally us around changing the financing, facilities, human resources, marketing, and food in the school lunchroom. Despite his “hippie” upbringing, Treehugger.com founder Hill is not a vegetarian. In this short talk, he explains his choice to become a weekday vegetarian, instead, and outlines the many benefits of choosing this lifestyle. Salatin, the “lunatic farmer,” decries the modern farming practices that destroy necessary insects, create chemically engineered plants, and breed sick livestock, resulting in a “dead food system” based on a “mechanistic view of life.” He calls for a return to organic, natural farming and processing practices. Gardening is a subversive activity. Food is a form of energy, but it’s also a form of power.” This sums up Doiron’s persuasive argument as to why everyone should undertake the project of a home garden, and control their own access to fresh, hyper-locally grown produce. Dawson has designed two environmentally sustainable London restaurants, Acorn House and Water House, that work toward eliminating waste entirely and using only clean energy. He explains how, by pursuing more projects such as these, the restaurant industry, “pretty much the most wasteful industry in the world,” can be reformed.